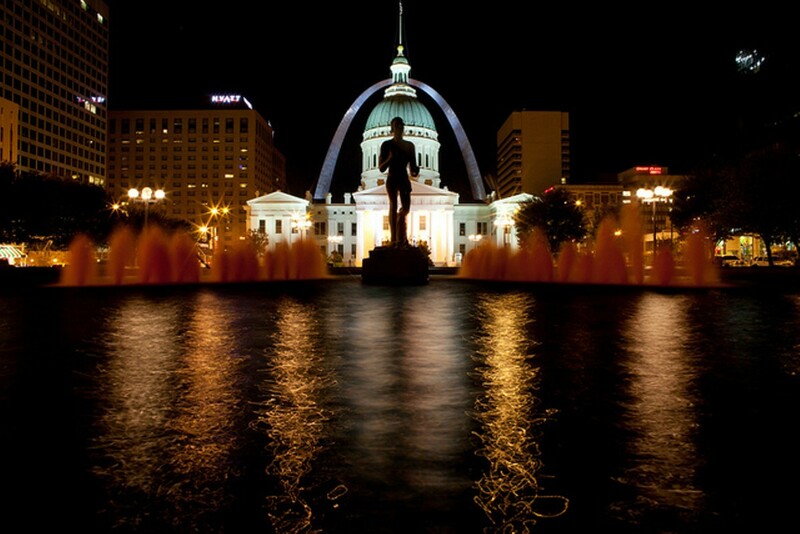 We asked you what you love best in St. Louis, and you didn't disappoint. Readers made selections in 50 categories, crowning everything from the city's best neighborhood to its best non-beef burger. Celebrate with an old favorite or use these pages as a cheat sheet to find something new ... and wonderful. This gem of a museum in Forest Park is our readers' pick for the city's best, and it's easy to see why. The gorgeous Cass Gilbert-designed building holds a wealth of cultural treasures, from Turkish rugs and an Egyptian mummy to the world's largest Max Beckmann collection. The price to view all the wonders in its standing collection? Absolutely free. This Soulard gallery is more than just a home to contemporary art and performance. It's also an event space, which hosts concerts, plays and benefits. Oh, and did we mention you can get married here? Readers love its flexibility, accessibility and red-bricked good looks. Newer clubs may have entered the St. Louis market, but readers say this Westport Plaza comedy mecca is still going strong after twenty years. Open mic night on Tuesdays lets amateurs try their hand at making audiences laugh, while headliners such as Pauly Shore and Rachel Feinstein pack them in later in the week. Hit that funny bone and prepare to LOL. The company in residence at the Blanche M. Touhill Performing Arts Center on the campus of the University of Missouri-St. Louis, Modern American Dance Co. has become a local favorite for its exuberant performances and striking choreography. The company boasts that 30,000 people saw its work last year — no wonder MadCo finished first in our readers poll. The Rep celebrates its golden anniversary this year, and its brilliant season opener, Follies, shows not only that it has what it takes — it's as good as it's ever been. Artistic Director Steven Woolf will guide the company through shows including Until the Flood, All My Sons and Million Dollar Quartet. RFT readers simply can't wait. A former movie palace, the Fox truly is fabulous, with a gloriously ornate "Siamese Byzantine" décor and a surplus of terrific programming. Readers come for the magnificent surroundings, but this year they'll stay for Fun Home, Finding Neverland or a host of other recent Broadway hits scheduled to play right here in St. Louis. A sports reporter and anchor at St. Louis' KTVI (Fox-2) for more than eight years, readers say Charlie Marlow is that rare man who combines TV-ready good looks with a genuine sense of humor. Don't believe them? Check out his Twitter feed @CharlieMarlow_, where the Toledo native shows he's both funny and smart, 140 characters at a time. 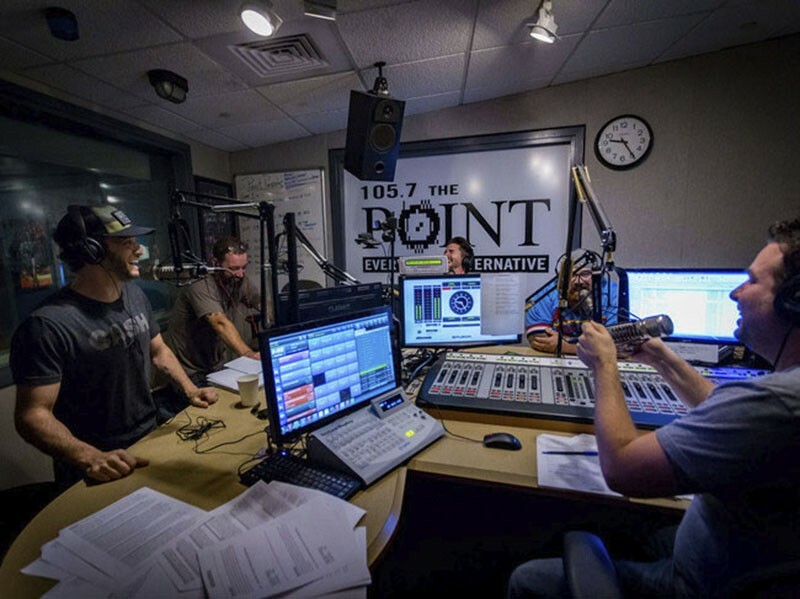 105.7 the Point: Its morning show was voted No. 1. The merry band of talkers who bring St. Louis the Rizzuto Show — Rizzuto, Patrico, Burton and Moon — are beloved by RFT readers for their irreverent humor and dude-friendly banter. From "are they real or are they fake?" to the Craigslist "freak of the week," listeners to the Point morning show love what they're hearing. In an era when many AM talkers sound like angry buffoons, readers find KMOX's Charlie Brennan a breath of fresh air: He's a thoughtful guy who knows how to ask a good question and keep the conversation smart. From 8:30 a.m. to 11 a.m. five days a week, he and co-host Debbie Monterrey show listeners how it's done — and prove why they've been winning these types of contests for more than two decades. A St. Louis-based station that streams online, TheRoots.FM boasts a team of radio veterans who take their jobs seriously — and a truly passionate group of loyal listeners. See what all our readers' excitement is about by tuning in for some classic rock ... or maybe even invest in a membership. Matt Sebek, the sports-loving entrepreneur behind JoeSportsFan.com and the mobile apps Cast and Rookies, is the voice behind a Twitter feed that's almost perfectly pitched. Funny without trying too hard, smart without being overly self-aggrandizing, it's what everyone on Twitter aspires to, but few ever achieve. "Tons of people in Los Angeles right now getting texts, 'Hey, you wanna go to this Rams gam? Got a stack of tickets from work,'" he tweeted after the Rams' opener. And yes, we LOLed. Turn the page for more, beginning with Bars & Clubs.